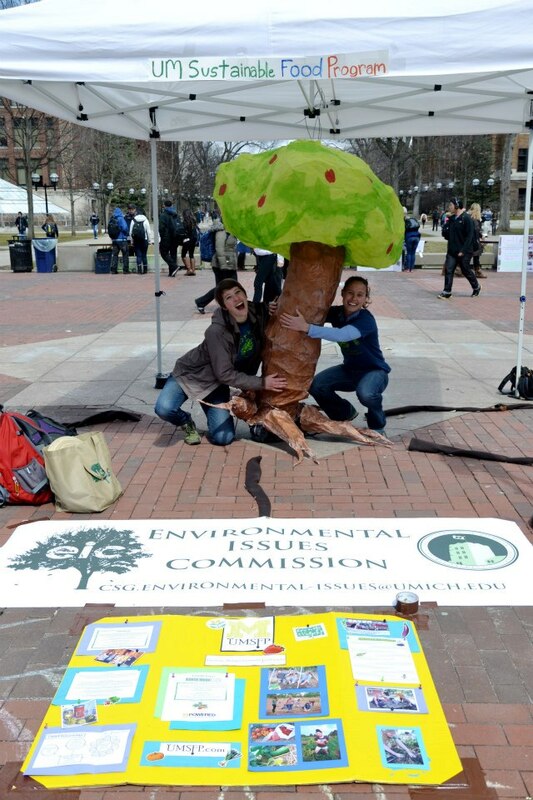 Michigan State University students held a similar event on Monday, one put together by a broad coalition of campus environmental groups. 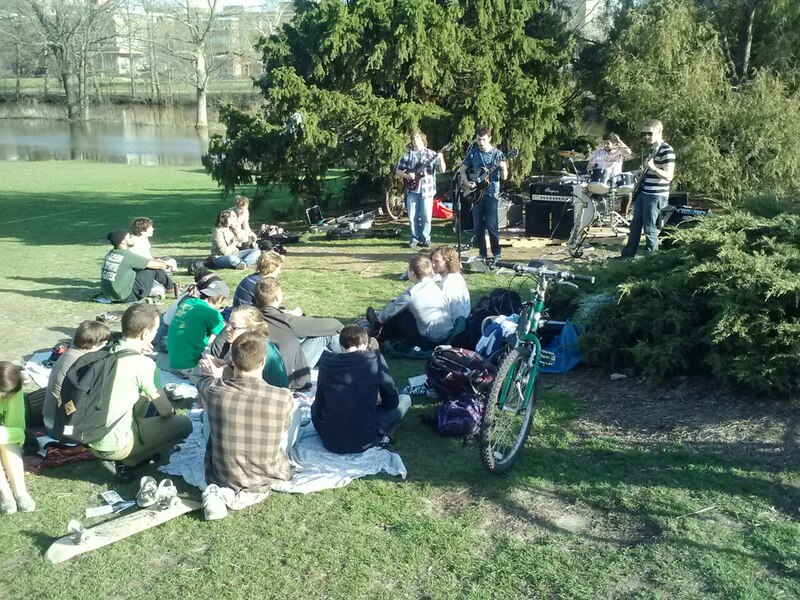 Together they painted the rock, talked about their orgs with fellow students, and enjoyed some music from Fertile Brainsoil, an East Lansing band. 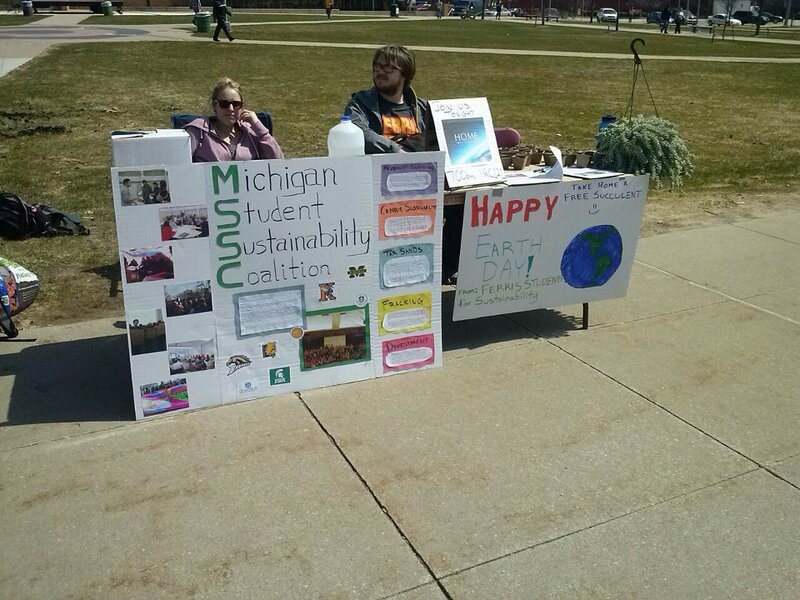 University of Michigan students also celebrated an Earth Week on campus, offering a wide array of events hosted by many different student orgs. 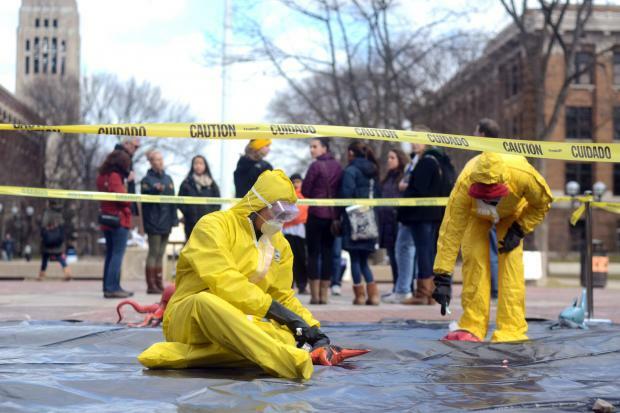 The Environmental Issues Commission hosted a mock oil spill in the diag, as well as another event to talk about food issues (co-hosted with the Sustainable Food Program). 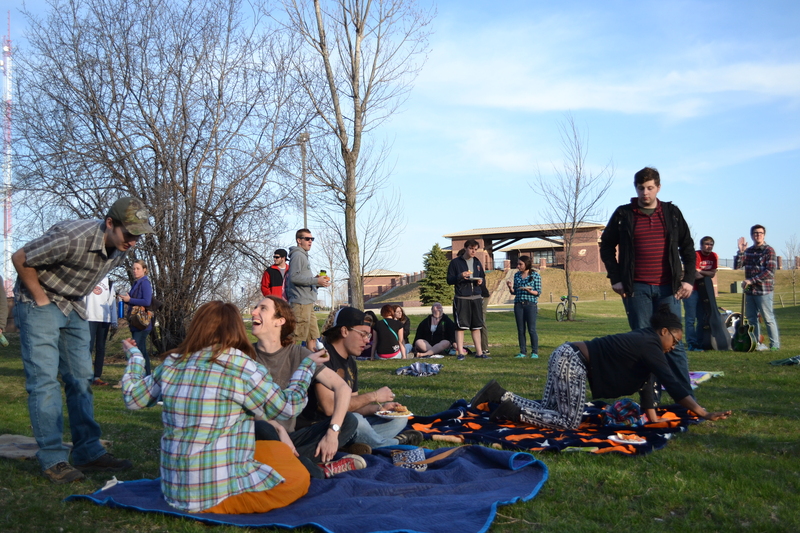 A new group from Ferris State University took this Earth Day opportunity to host their first events on Monday! 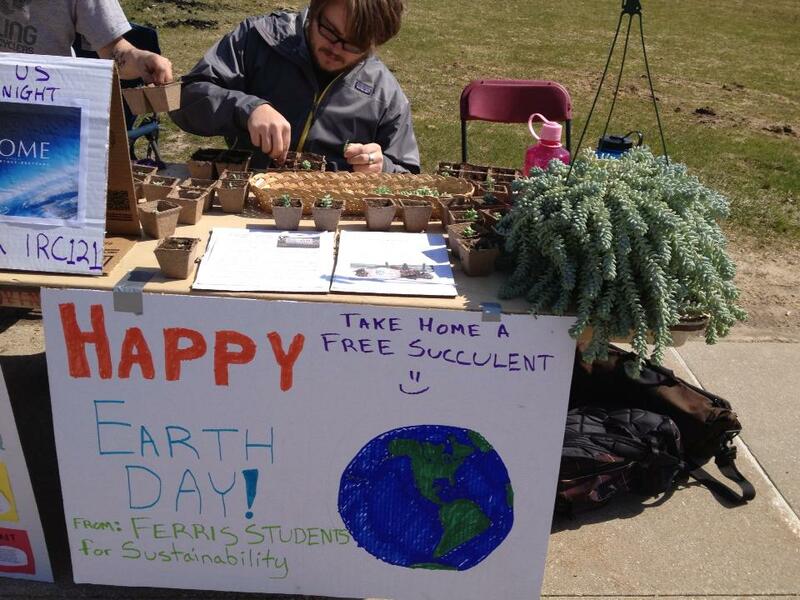 Well on their way to becoming an official registered student organization, the new Ferris Students for Sustainability represented the MSSC and their vision for a more sustainable campus by tabling and handing out free succulents during the day and hosting a documentary screening in the evening. 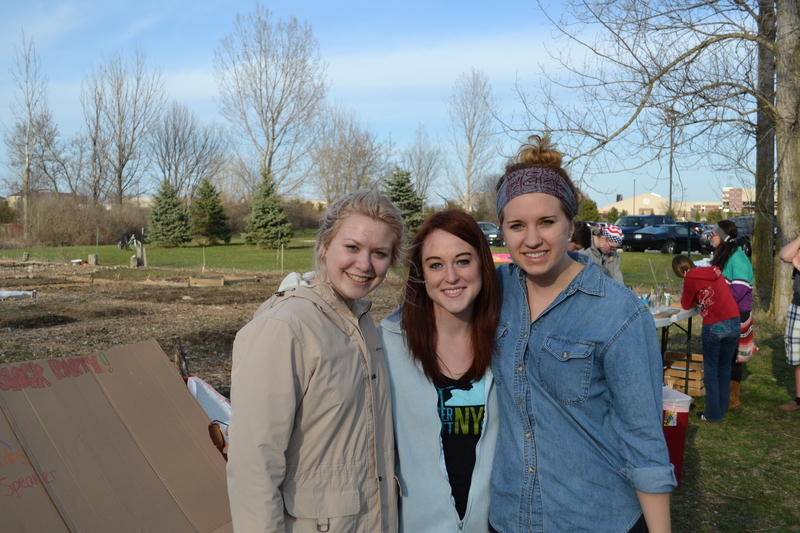 Thanks to all the students who worked to host these events! But more importantly, lets thank them for doing this work every day. 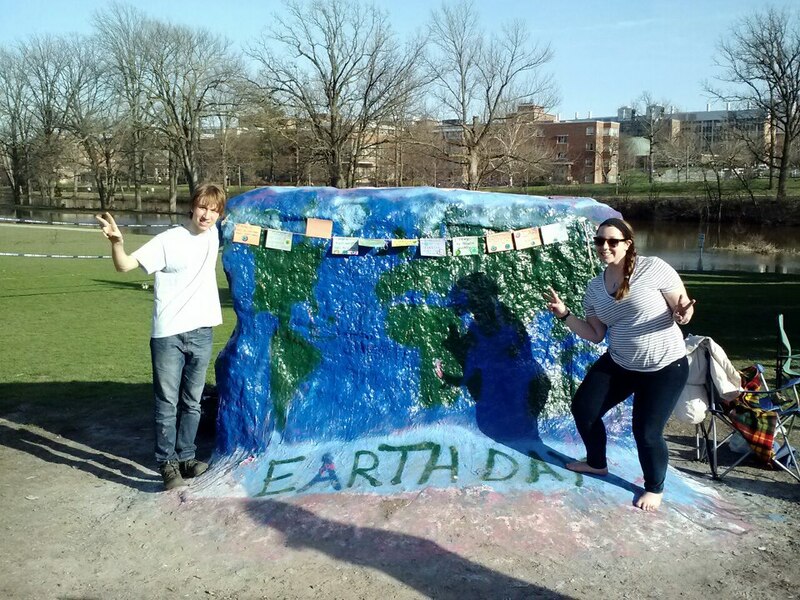 While Earth Day is a great excuse to get others to take a minute to think about the environment, for these students its just another day in the fight for our planet, our health, and our futures.